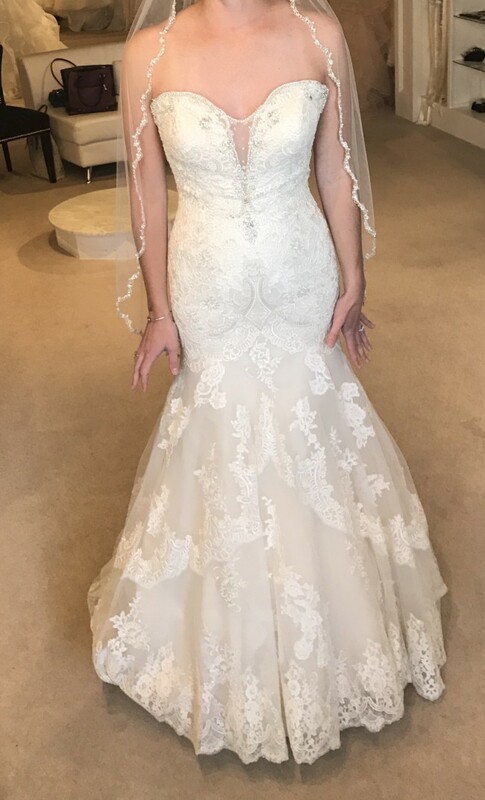 My daughter said “Yes” to this dress and then changed her mind when she went back to pick it up. She realized it wasn’t what she wanted- fitted or strapless. It just was not for her. It was never worn or altered. It is brand new and untouched. The store we ordered it from would not take it back. The dress is gorgeous! With beautiful detail, beading and lace. Once you send a message, Lynn can invite you to purchase the dress.